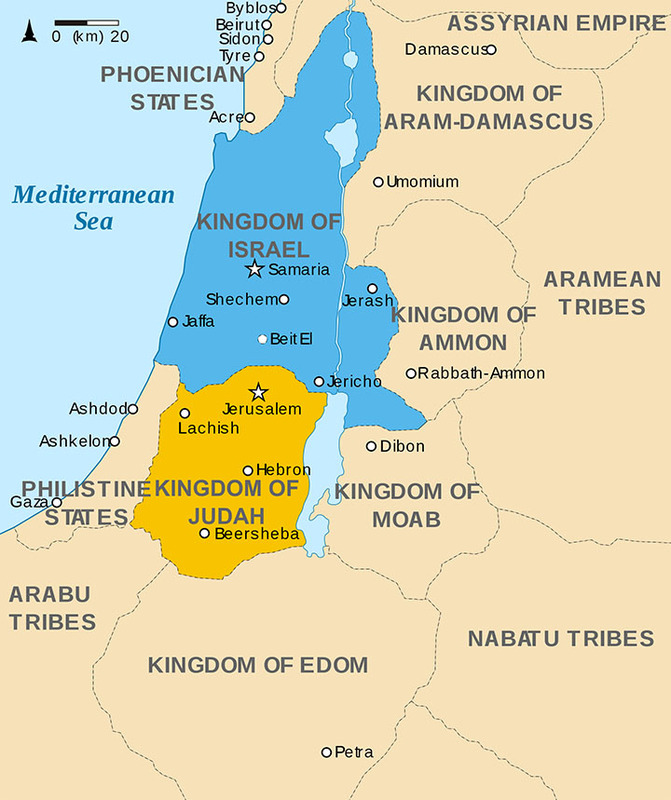 Kingdoms of Israel and Judah c.830BCE. 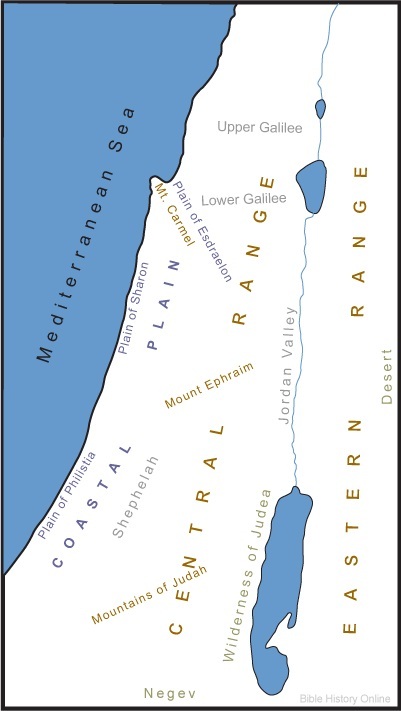 This map shows the Kingdoms of Israel (blue) and Judah (orange) during the 9th century BCE, including the ancient Southern Levant borders and ancient cities. 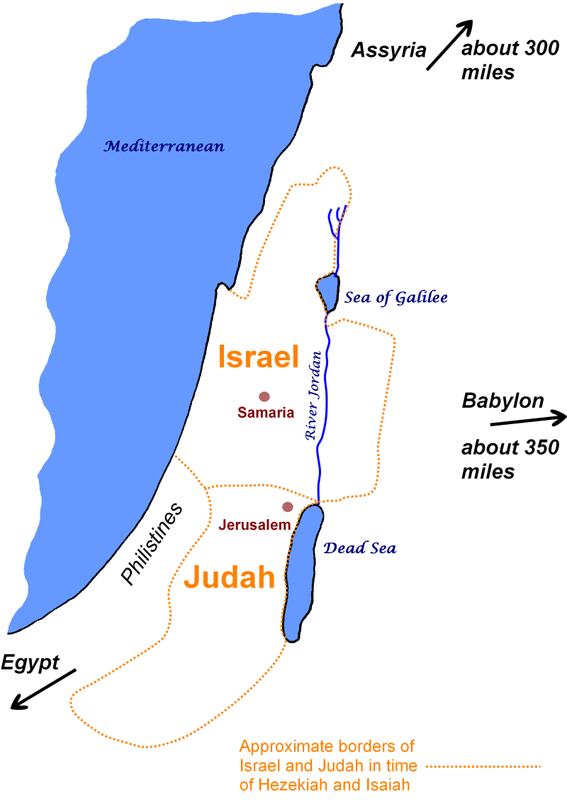 Kingdoms of Israel and Judah map 830.svg.Wikimedia Commons (http://creativecommons.org/licenses/by-sa/3.0), 12 July 2010. 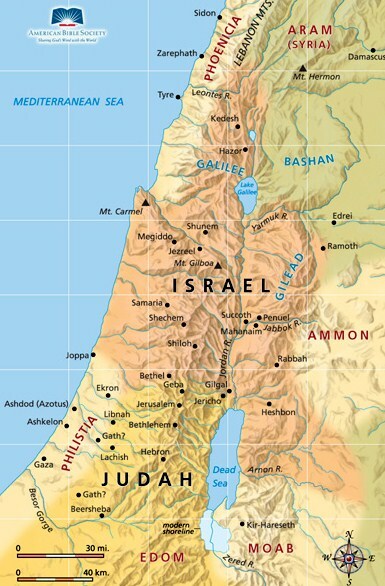 Oldtidens_Israel_&_Judea.svg: FinnWikiNo. 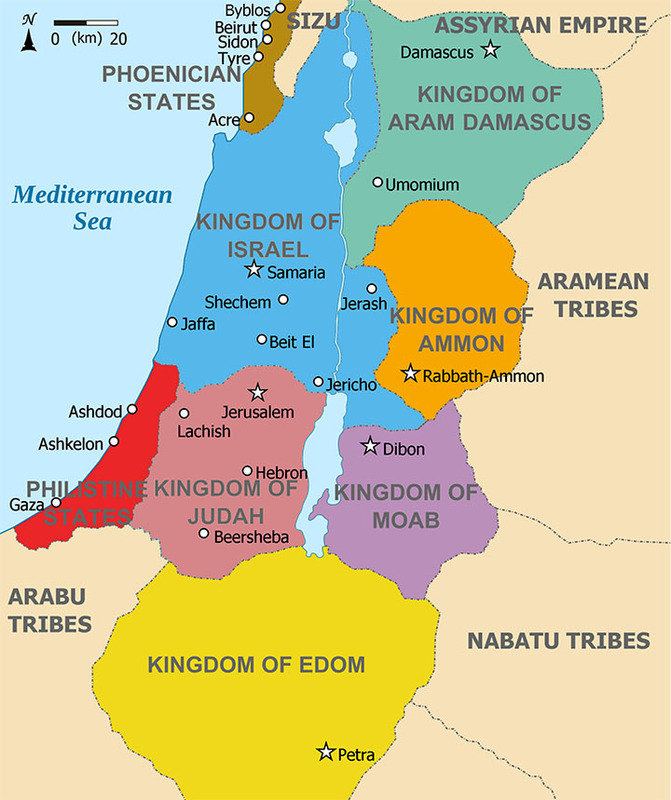 This map shows the Kingdoms of the Levant in the 9th century BC: Phoenicia (Brown), Aram Damascus (Aquamarine), Amon (Orange), Moab (Purple), Edom (Yellow), Philistia (Red), Israel (Blue), Judah (Maroon). Kingdoms of the Levant Map 830.png. Wikimedia Commons (http://creativecommons.org/licenses/by-sa/3.0), 12 March 2012. 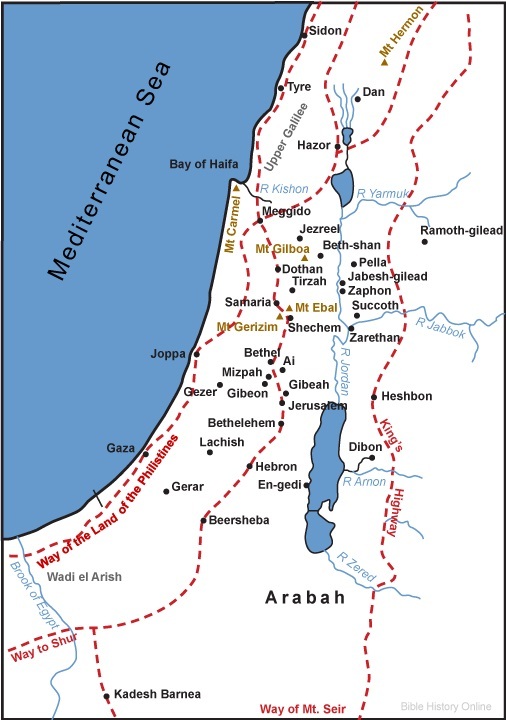 Oldtidens_Israel_&_Judea.svg: FinnWikiNo.